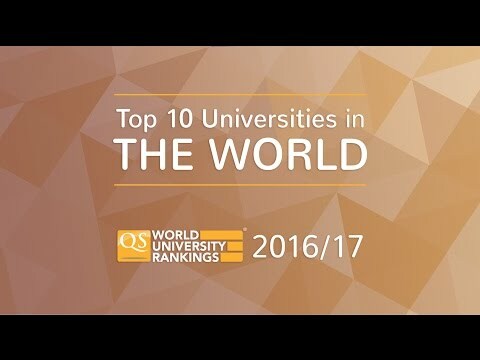 This article is based on the 2016/17 edition of the QS World University Rankings. Click here to find out the top universities in Canada in 2019. The launch of the latest QS World University Rankings® sees 26 Canadian universities feature among the world’s best. This includes three top universities in Canada in the worldwide top 50, with a further 10 in the top 300. Read on for more information on the top universities in Canada this year, starting with the top 10. Holding on to the top spot among these top Canadian universities for the second consecutive year is McGill University, falling six places this year to rank 30th in the world. Located in Montréal, McGill has around 40,000 students enrolled, of which 25% are international. It has the highest number of Rhodes scholars and Nobel Prize winners among any Canadian university. The University of Toronto edges closer to its rival McGill, climbing two places this year to rank 32nd in the world. Located in Canada’s largest city, the university contributes CA$15.7 billion to the Canadian economy per year and is famed for its research innovations, including the discoveries of insulin and stem cells. Up five places this year, the University of British Columbia now ranks 45th in the world and retains its position of third amongst the top universities in Canada. Located in Vancouver and Kelowna, the university’s student body of 61,100 includes 13,200 international students from 155 countries. The University of Alberta is up two places this year to rank 94th in the world. Located mainly in Edmonton, the university currently enrolls 38,700 students from 147 countries and has a major impact on the economy of Alberta, being the province’s fourth-largest employer. Consistently the highest-ranked francophone Canadian university, the Université de Montréal is placed 126th in the world this year. One of Canada’s major research centers, it has almost 67,000 students, including 9,300 internationals. Retaining its position of joint 149th in the world this year (alongside the US’s Emory University), McMaster University is located in Hamilton, Ontario, on a scenic 300-acre campus, and is particularly renowned for its medical school. Ranked joint 152nd this year with IIT Bangalore, the University of Waterloo is also located in Ontario. It’s a member of the U15 group of research-intensive Canadian universities, and is particularly famed for its cooperative education (co-op) programs. Up one place in the top 10 and now ranking within the global top 200 at joint 196th (with Sweden’s Stockholm University), the University of Calgary is the birthplace of a range of important inventions, including the neurochip. Previously called the University of Western Ontario, Western University is ranked 198th this year and is located in London (not the UK one! ), Ontario. It has an enrolment of about 28,400 students, representing 117 countries around the world. Ranked joint 223rd in the world, Queen’s University is located in Kingston, Ontario and is one of Canada’s oldest institutions, established in 1841 – 26 years before Canada itself was founded. The university holds more than 3,500 acres of land throughout Ontario. 11. Simon Fraser University – ranked 226th in the world. 12. Dalhousie University – ranked joint 283rd in the world. 13. University of Ottawa – ranked joint 291st in the world. 14. University of Victoria – ranked joint 325th in the world. 15. 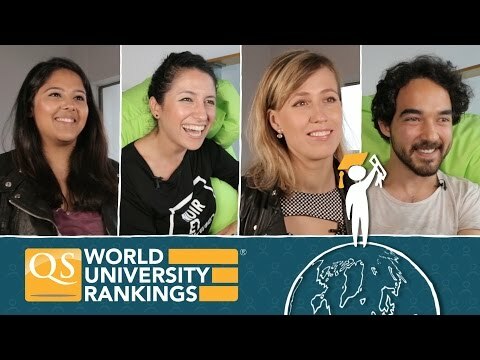 Laval University – ranked 372nd in the world. 16. York University – ranked 451-460 in the world. 17. Concordia University – ranked 461-470 in the world. 18. University of Saskatchewan – ranked 471-480 in the world. =19. Université du Québec – ranked 501-550 in the world. =19. University of Guelph – ranked 501-550 in the world. =19. University of Manitoba – ranked 501-550 in the world. 22. Carleton University – ranked 551-600 in the world. 23. Université de Sherbrooke – ranked 601-650 in the world. =24. Memorial University of Newfoundland – ranked 651-700 in the world. =24. University of Windsor – ranked 651-700 in the world. 26. Ryerson University – ranked 701+ in the world. Find out more about studying in Canada with our complete guide. Hi Sabrina, I'm from Ghana, I've a bachelor's in theatre arts and want to pursue a master's in economics. Kindly suggest some universities in U.S. And Canada. I'm from Nigeria my son wants to study medicine in your university. and I want to know the least cost of the fees. Hello, I am in last year of my college and pursuing BA. And now i want to pursue Law from CANADA(after my graduation). So i want to know the job possibilities their? hi, thank you for your very informative articles about top universities. hat offer my course for masters. i also need to know if their are scholarship and i need to know the fees too... thank you. Hi Ojechi. Our guide to studying abroad in Canada should help you get started. We also have a list of scholarships to study in Canada, and an article on the costs of studying in Canada. When searching for universities, you may also be interested in our ranking of the top universities for computer science - you can filter the list by location to see Canada's top entries. 1-will i get PR immediately or we need to struggle for it ? 2-after completing my PG Diploma from college and if i would like to pursue further more for MS ,the fees charged will be the same (for ex-$13,000) for international students or we can do it in 1/3rd amount of what exactly the fees is for international students ? Actually i want to know whether i can pursue my MS in less fees or not after post graduate diploma? have a plan to purse 1 year mba from new york institute of technology-vancouver. Is it a good affiliated one?? Hey Anuj, What you are doing now? Let me know !